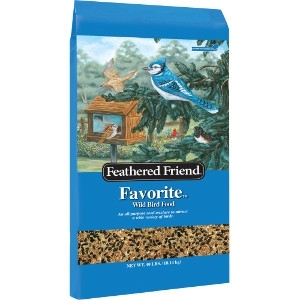 An economical, all-purpose mixture that is an ideal choice to attract birds as varied as bob-whites, towhees, doves, sparrows and ring-necked pheasants. Mixture includes white millet, milo, striped sunflower, cracked corn, and wheat. For use in hopper, tube or window feeders. 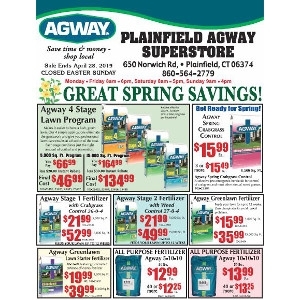 Click here to view our great spring savings in our April Sales Flyer: Side 1 & Side 2. Not valid with any other discounts or sales. 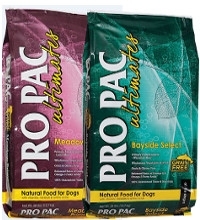 Look for specially marked 28lb bags of Pro Pac Dog Food, now $5.00 off per bag! Not valid with any other discounts or sales. Sale valid while supplies last only.